My sweet Eli with the insatiable mind, hungry for data, reading voraciously, making cosmic connections and engaging adults. This is the same boy who on a typical morning getting ready for school gets lost upstairs when sent up to brush his teeth, recently learned to tie his shoes, drops copious amounts of food on the floor when eating, and doesn’t notice if his clothes are on backwards. It’s the same boy who puzzles over one sheet of math, mind wandering, unable to concentrate or summon working-memory for his times tables. One delicious, delightful, and disabled boy all rolled into one. When we first brought concerns to our pediatrician it was difficult to pinpoint what made him different. And as a mother, I would point to my intuition and know there was something different about him. Thankfully, God blessed us with two more children. And, indeed, through parenting them and him, I knew that it was more than intuition that justified my concerns. I saw right before me the difference between neurotypical children and those with special needs. After a run-around with a public school that was unwilling to meet his needs, testing by a neuropsychologist confirmed three different diagnoses and we were able to move forward to address Elias’ needs. I know all parents worry about their children. And yet, a parent of special-needs child worries about their child in a different way. (This worry is somewhat like having an auto-immune disorder, which is always there, but sometimes needs attention.) We know that our primary vocation is to love our kids and raise them to independence. With a special-needs child, we know we can do the former. It’s the latter that keeps us in the work of appointment scheduling, therapy sessions, and teacher conferences. We live in that liminal place of anticipatory grief—not sure that our child will go to college or leave the nest. Yet, always pursuing these American ideals. The second thing we do is honor Elias’ existential questions about why he was made this way. We have tried to explain that we all are made in the image of God. But, because we live in a world that is not perfect, there are parts of us that don’t work perfectly. And, yet we emphasize that all of us, including mom and dad and brother and sister, are working on something — as we become imitators of Christ. Third, I try to ground my children’s identity in their baptism, and ultimately, in the Christian faith and life. 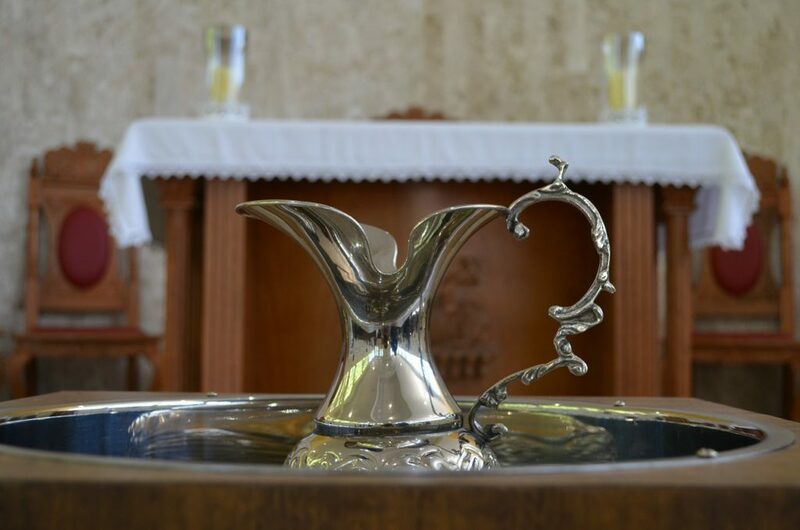 We do this specifically by celebrating the anniversary of their baptism and opening their baptismal box remembering all the people that were there with them when they became members of the body of Christ. We cultivate their relationship with their godparents so that they truly know there is a great cloud of witnesses who love them and care for them. And, we also pray for those godparents each night, etching them into our breath before we sleep. And most importantly, our children know that the church is a great source of strength and belonging for them. Both my husband and I are priests, working in two different parishes, so I have never done any intentional advocating on behalf of my son. But I suspect that parishioners who are emotionally intelligent know there is something quirky about my boy. And despite this, he carries a torch and leads a procession in worship. He greets people as they come into the church and delights in singing in the youth choir. He needs his church, and his church needs him. an inquiring and discerning heart, the courage to will and to persevere, a spirit to know and to love God, and the gift of joy and wonder in all God’s works. – Book of Common Prayer. How do you keep faith with the children you have – not the ones you imagined? Thank you so much for this. I, too, have a quirky kid. I truly appreciate you writing on this topic. As you know, it can be quite bewildering and isolating to parent. It must be as isolating for my child spiritually. I will work toward teaching her that she is never, ever, alone. I will pray the same for you and your child. Pamela, thank you for sharing and thank you for your offer of prayer. Your child may feel isolated spiritually or she may have a very real and close sense of God. I hope for the latter. God bless you both. Thank you for your insight. I have never been told this as I am surrounded by people who advocate for special needs’ children. But, I thank you for bringing this language to my attention. Godspeed! Thank you for your reflections and blessings to all of your family from a reader who had shared similar experiences; your faith, family and celebrations benefit from your intelligent. Thoughtful and prayerful perspective. Thank you Carolyn. I was so glad to be invited to put these reflections together as they are close to my heart. As a clergy child who is now, God willing about to be ordained a priest I do not think it is possible to overstate the role and gift of the parish family in helping clergy children grow in faith and with the full assurance of God’s love. !! Melissa, a lovely and moving article. Thank you for this witness . And thank you for your pastoral care and concern ovre the years! A great article passed along by a mutual friend. You words to keep faith with the children we have and not the ones we imagined requires constant patience and remembering that it is indeed their life to live well and not anything I imagine for them. Godspeed to you and your family!